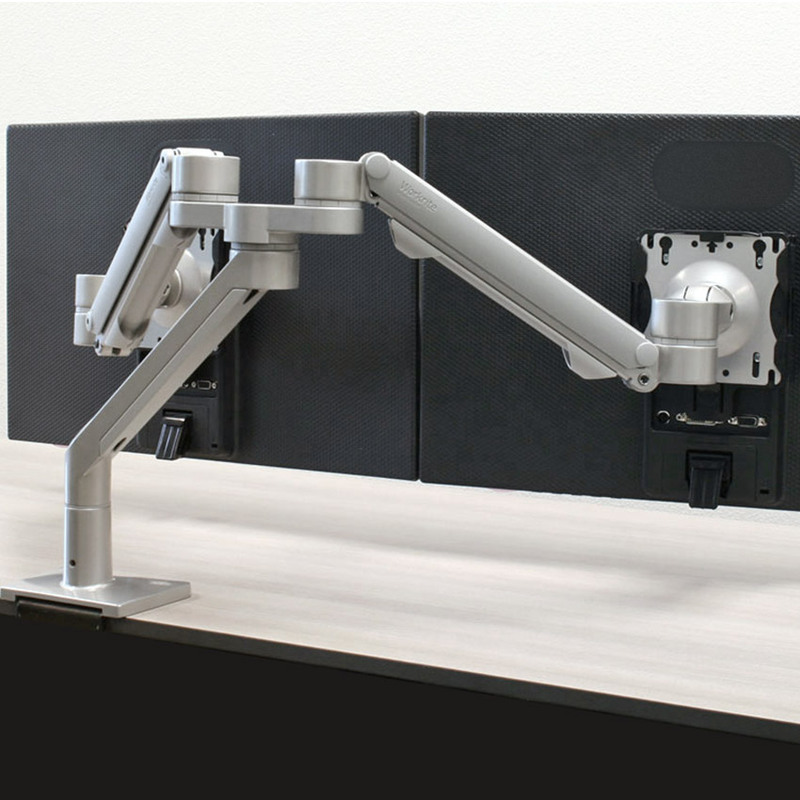 The Willow Dual monitor arm features a single post design engineered to support two lightweight monitors weighing from 1–14 pound each. 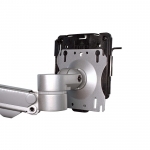 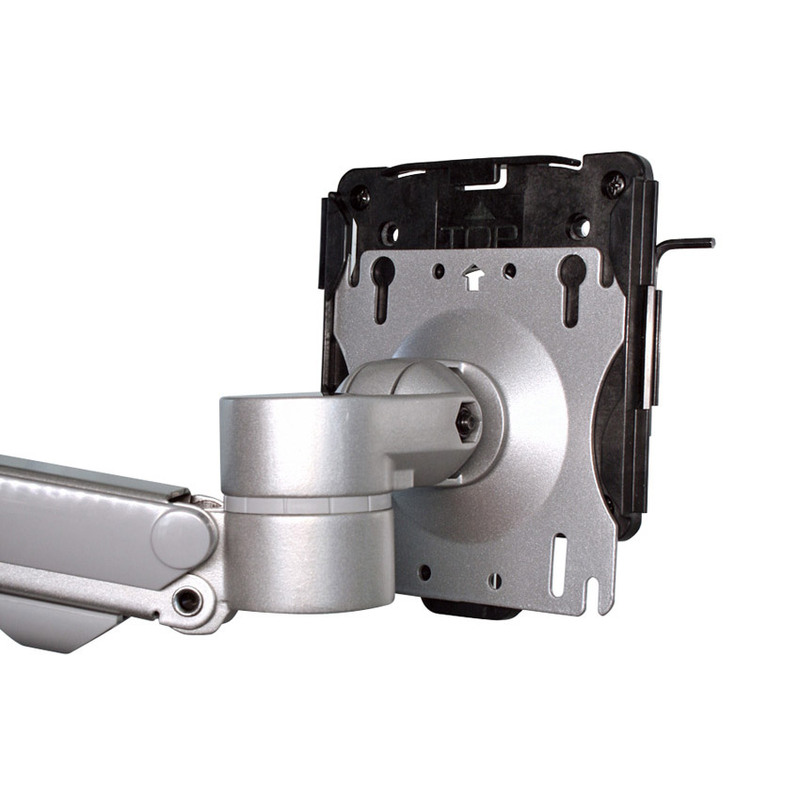 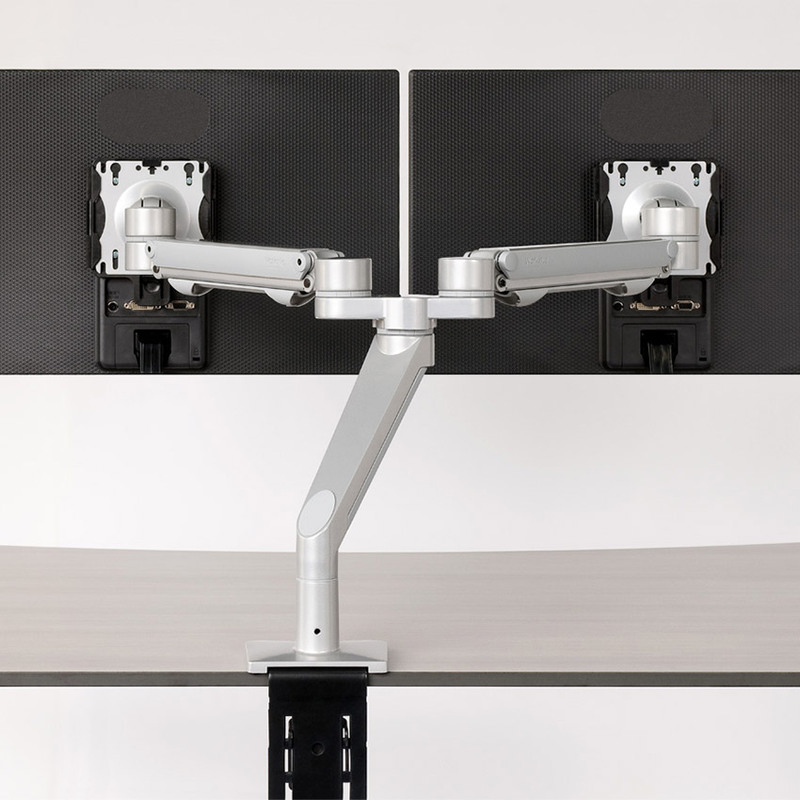 The streamlined Willow Dual monitor arm features a high performance spring and parallel link designed to keep monitors perfectly balanced while providing easy vertical adjustment. 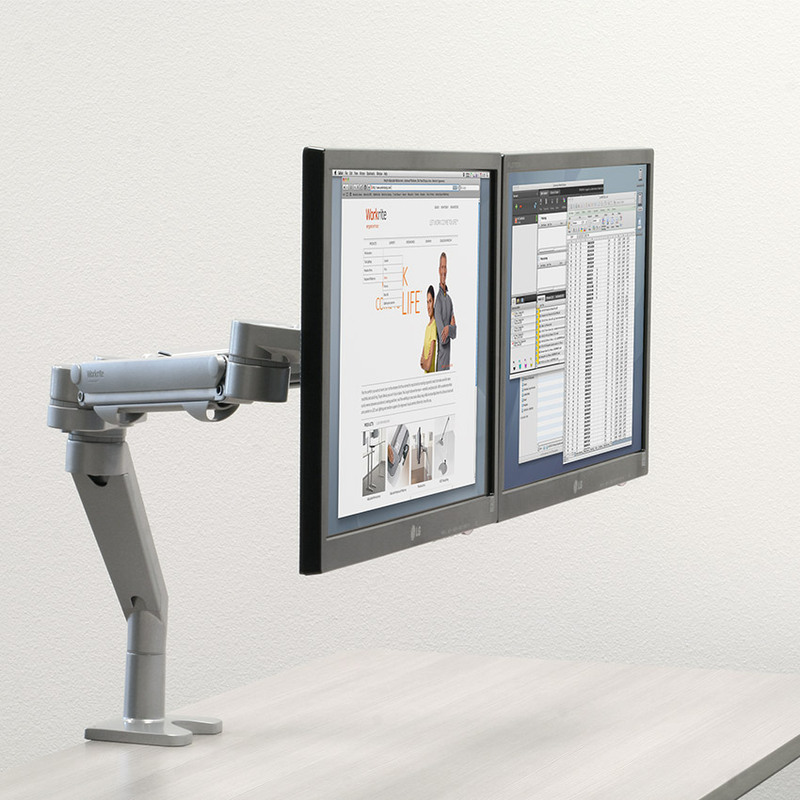 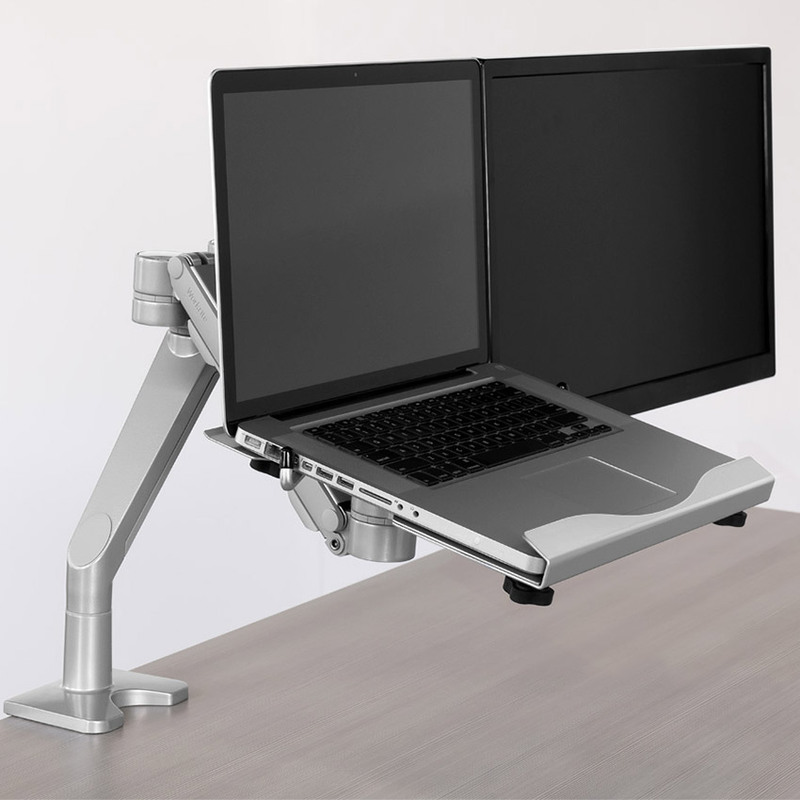 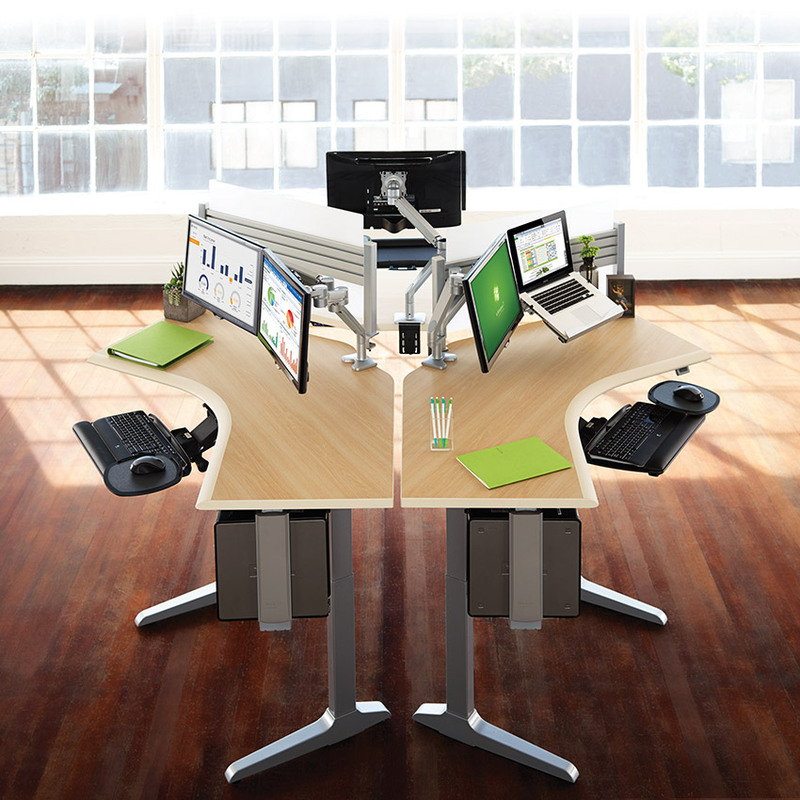 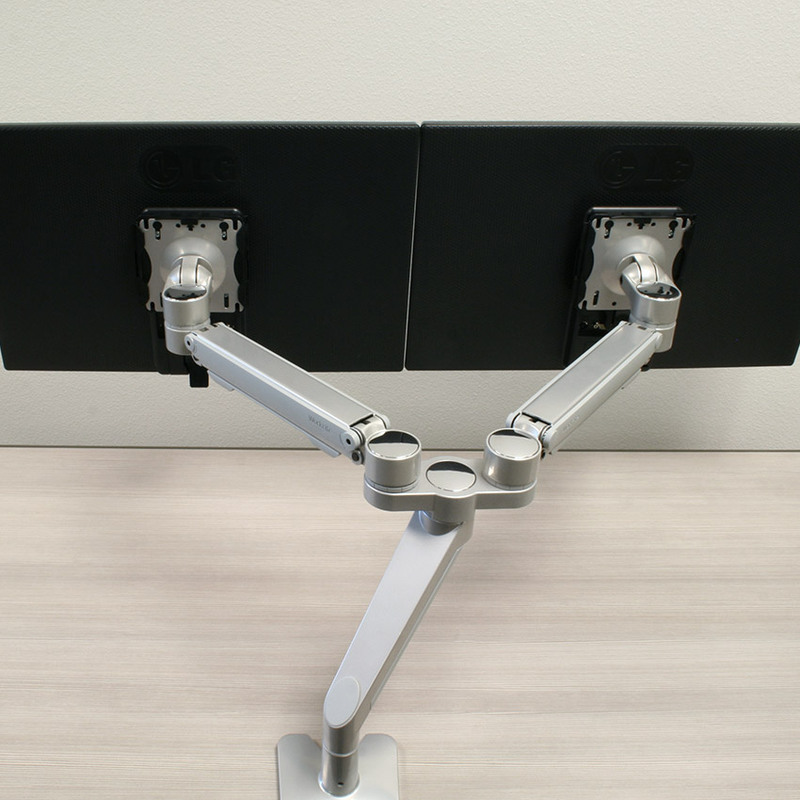 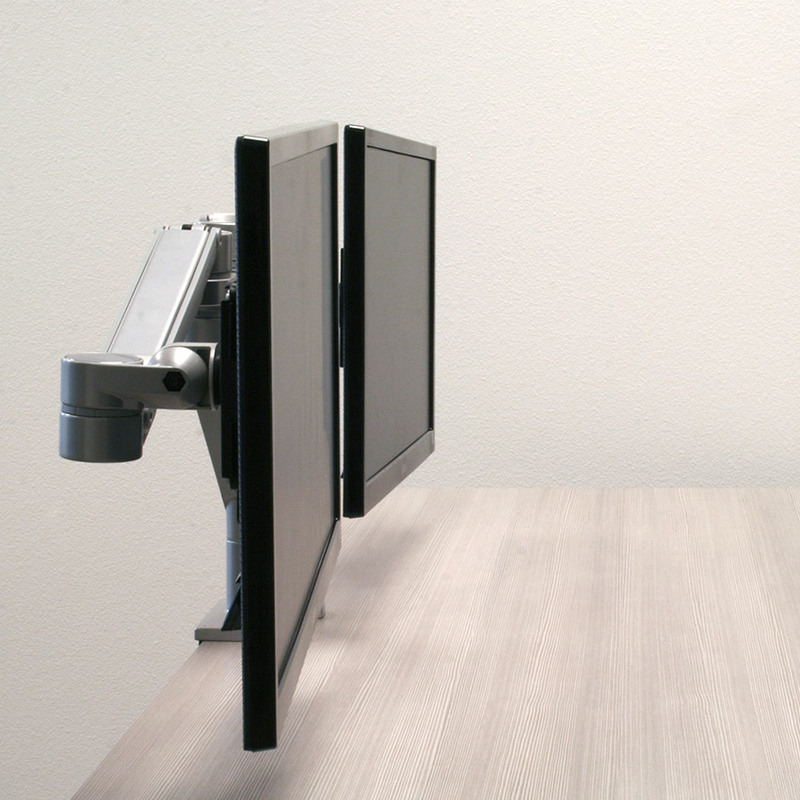 Willow Dual monitor arm is available with a C-Clamp or Grommet mount and the single pole design frees up valuable desk space while positioning monitors perfectly to increase both comfort and productivity. 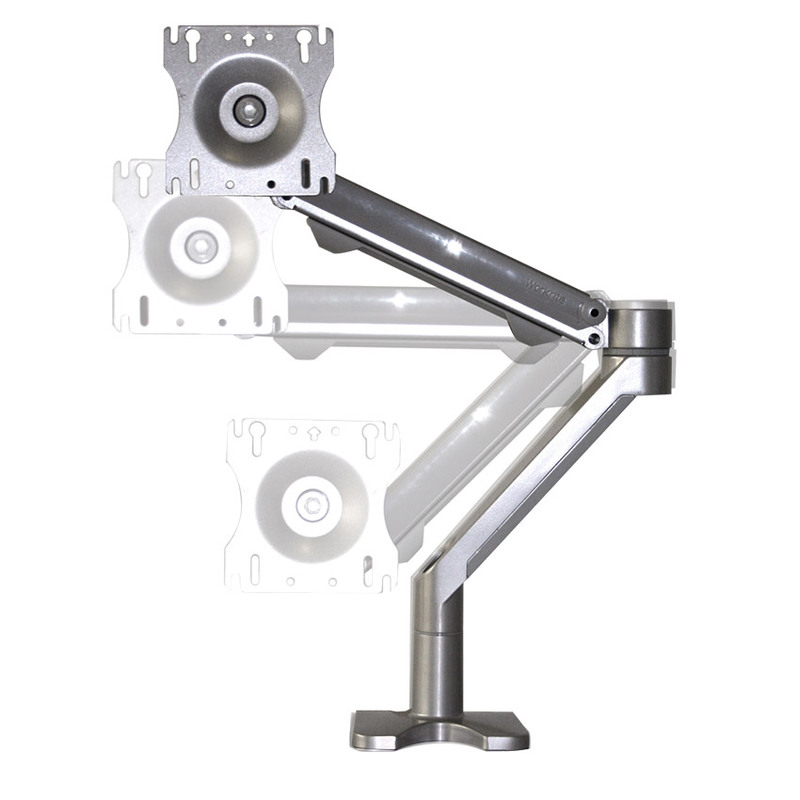 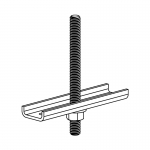 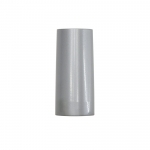 Supports up to 42 lb. 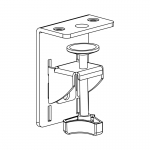 Supports up to 14 lb.